Forget Gatlin and Bolt, understanding human movement and determinants of sprint performance can shed some lights into this. Do steroids make you win the gold medal? No direct measurement into this. 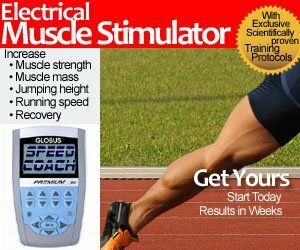 Do steroids make you sprint faster? No direct measurement into this. Do steroids have effects in athletic performance? Strength and hypertrophy, yes, but I think they are not directly increasing sprint performance. If strength and hypertrophy are the cases, you really need to define how strong is strong enough or how big is big enough for sprint performance. BJ bench presses >190kg and build those muscles in order to run 9.79s in 100m. But now we know that you don’t have to lift that amount of weight to make such a breakthrough in sprints. Majority (if not all) of the sub-10 sprinters are not even close to BJ upper body strength. Hypertrophy is measured by the cross-sectional area (CSA), limb girth etc.. Unfortunately, their correlations with sprint performance really depend on the types of muscle fibres. Maximal sprint performance is basically governed by the frequency and length of the strides. The frequency is the rate of movement or how fast you move your limbs. This is influenced by leg’s speed, therefore the velocity of shortening (contraction). Given a similar stride length, the faster sprinter would possess higher stride frequency. But there is a limit of the speed or velocity of shortening, if you look very closely at the rate of cross-bridge cycle. Because the ‘cycling rate’ here controls the velocity. READ David Rudisha's Training – Relax and Win? So if you consider the fibre types, the velocity of shortening that can be produced is limited to the speed of the type IIx fibres, which have (already) the highest cycling rate. The more steroids you take doesn’t mean the higher the rate of cycling one can produce. Steroid intake has nothing to do with the velocity of shortening, it depends primarily on genetics. It’s true but this does not mean you need to endlessly increase your strength’s level, and if so, you are most likely to get injuries as your connective tissues (e.g. tendon and ligament) are unable to withstand with the continuous increase in strength’s level. Secondly, you must also ensure that the strength increases can still allow you to sprint efficiently. 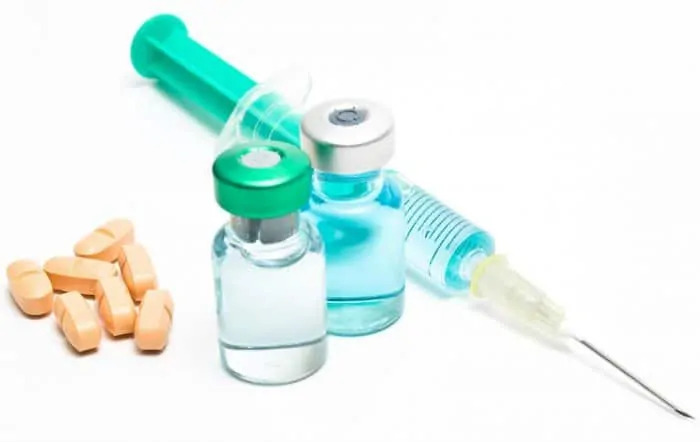 Hence, if the purpose of taking steroids is to increase muscle mass and strength to an undefined level, with the aim of sprinting faster, you are more prone or susceptible to musculoskeletal problems. Unless you do it intelligently, taking steroids is more harmful than beneficial. If you have taken steroids, how long does it last in your system? Does it help elevate sprint performance? This remains unclear. There is an ‘animal experiment’ published by the Journal of Physiology. The subjects were mice (not human). The mice were given with steroids and the muscle mass increased. This was followed by “no steroid” intervention for 3 months (12% lifespan of mice, i.e. about a decade in humans). Overload (training) was reintroduced subsequently and the researchers observed an increase of CSA at a rate of 20% higher in the steroid group as compared to control group. It is basically about muscle mass and CSA, which is not sprint performance. Whether steroids for strength can really benefit top sprinters in terms of long lasting effect remain a subject of exploration, so do the long lasting effect of steroids on sprint performance in elite athletes, which is apparently unknown.